Why tropical look, especially during January Board meeting where snow and ice covered much of GA and wind chill was single digits? To emphasize a point that the norm is not always what you have to expect. Many challenges face us as leaders and yet these ladies accept the awesome responsibility of looking for answers that may involve out of the box thinking. Not changing for the sake of changing but not staying the same because we have always done it that way either. I am so proud of this board’s growing commitment to working for you with an open minded attitude. The diversity of our members brings many voices from you our membership. Your ideas and opinions are important to us so let us hear from you. I have purposely included phone numbers for officers and email addresses of all-just list GA WBA in subject line please to prevent being considered spam. Read more about each of your leaders below: the committees they serve on, their interests, their thoughts and their goals. Of course our normal formal board picture is above, but I want you to get to know your leaders better thru a little different way. Turning a cold winter day into a tropical paradise takes more than dreaming; it means putting on the tropical shirt and working to make it happen. Won’t you come join us as we work to make GA bowling a dream come true? To promote the sport of bowling for the women in the state of Georgia. 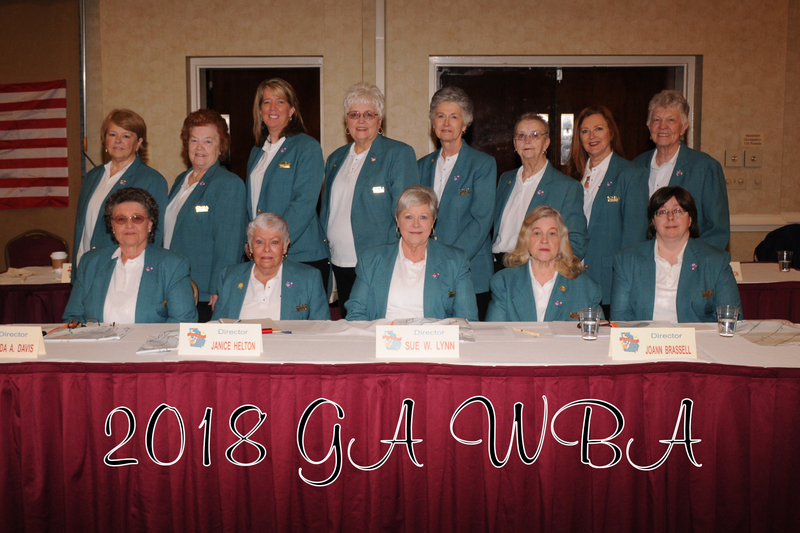 In 1955 a group of women got together in Marietta and formed the Georgia Womens Bowling Association. In 63 years, we have conducted 62 State Championship Tournaments, 37 Queens Tournaments and 16 Senior Queens Tournaments.